Historical photographs are on display at the museum of St. Francis Mission on the Arapaho reservation, and history seems doomed to repeat itself. A descendant of the tribal chief who appeared in the pictures has been shot to death, and the museum's curator has disappeared. The two incidents may be linked to a near century-old murder. 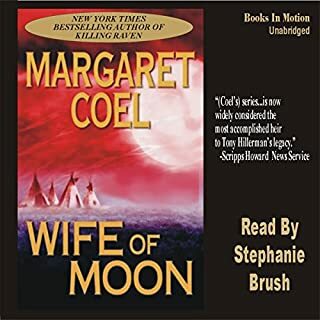 Would you listen to Wife of Moon again? Why?